If you wish to enhance your marijuana-smoking, read on to explore all the creative ways you can make the experience even more magnificent. After inhaling that superb Mary Jane, the rush of cannabinoids and terpenes produces awesome sensations; it’s truly a magnificent experience. The effects span between relaxing, couch-locking, contemplative, energetic, and euphoric, depending on the strain consumed and the mentality of the consumer. There are many ways to improve the already delightful weed experience, so we decided to present some of our favourite enhancements. Every cannabis enthusiast has their own preferences, however, we can all agree on the following tips. Let’s turn up the experience! We know that your grandmother is very proud of your joint rolling skills, but it’s time to step up your game. There’s nothing wrong with rolling a perfectly classic cone, but there are so many ways to transform a joint into a masterpiece—it would be a shame not to get creative and express yourself with awe-inspiring artistry. Going from regular joints to fancy weed-filled origami might be an overwhelming leap. So to begin, you can start by making a triple joint. Make 3 roaches, wrap them together with another roach paper, attach 2–3 papers together, and make a fat blunt-look-alike joint. Another classic you just need to try is a cross joint, made famous by the Pineapple Express movie. It’s simply a joint with a smaller joint crossing through it, making a cross. When you've gained some practice, you might want to create stoic joint-sculptures, but that might take some time. In simpler times, there was just weed and hash, that’s it. Now, cannabis enthusiasts got creative and gifted us with delightful concentrates, thousands of super potent strains, and of course, delicious terpene extracts. During the flowering phase, plants develop terpenes as a defense mechanism against predatory insects and to help stabilise the plant’s temperature levels. Many consumers believe that terpenes can change the experience of the high. Terpenes like myrcene, limonene, humulene, beta-caryophyllene, and many others exude delicious weed aromas, which are now extracted and can be added to drinks, foods, concentrates, you name it! So, to enhance your weed-toking experience, get some terpene extracts and boost the organoleptic qualities of the weed you’re already smoking. It’s time to get environmentally friendly. Instead of buying plastic bongs and pipes that will trap baby turtles for millions of years, you can make some exciting vegetable and fruit bongs! 100% degradable. There are various different constructions you could attempt. To begin, start with something simple like creating an apple pipe. Buy a large organic apple, dig a mouthpiece around the top with a pen—don't go all the way through otherwise the weed will fall out—then, make a hole in the side with the pen so it meets the first hole. Voila. You could also try to build a bong from a pineapple or a jalapeno. Try to pick fruits and vegetables that taste nice. Avoid brussels sprouts, cabbage, etc, for obvious reasons. You should make a fruit bong before you get high, and another one during the high. Afterward, compare the results, take a picture, and send it to The International Cannabinoid Research Society and contribute to science. There’s nothing more fun than combining weed with science. Here’s another smoke-adventure enhancement—hotboxing with your family, friends, and homies. For all you newcomers to the cannabis scene, hotboxing refers to smoking weed in an enclosed space, causing it to become completely filled with cannabis smoke. To get the most out of hotboxing, it needs to be planned, and planning is fun! Find a location where you won’t be disturbed for a solid amount of time. The place needs to be a room, bathroom, basically any kind of small, enclosed space. Now, consider that the stank will penetrate any materials present during the hotbox session; so if there’s any furniture or mats, they’ll reek of weed—so try to clear that out. Also, change clothes if necessary because you'll exude weed, guaranteed. Even further, get some odour-neutraliser to eliminate the smell. To enhance your weed-smoking endeavours, consider pimping your joints with above-average papers. There are plenty of papers with different colours and shapes that will definitely boost the experience. RAW produces large-sized papers, perfect for a smoke circle session involving 8+ people, or a single Snoop Dogg. Flavoursome smoking papers have entered the scene, adding extra pizzazz to your beloved herb. If you like transparency, there are special see-through papers made out of cellulose; they’re great for seeing the contents of the spliff. And last but not least, gold papers, looking like something ancient Mayans would smoke if they made joints. Producing cool joint designs with colourful papers is definitely something you should try out. Moon rocks have become a delicious phenomenon, something gifted from outer space to us cannabis lovers. Moon rocks are basically a mixture of bud, hash oil, and kief. To make this delicacy, a dense and high-quality nug should be chosen. It's best to choose an indica-dominant strain since they're more likely to develop rock-solid buds. After the bud has been chosen, smear it with hash oil, which has a syrupy consistency. To finish off, get some kief and sprinkle the oil-covered buds with it. It's as simple as that, a moon rock ready to rock your world. Break it off, add it to your bong or joint. Magic. 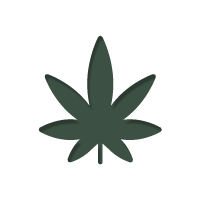 Having an amazing experience under the influence of marijuana greatly depends on the quality of what you’re smoking. Tobacco automatically lowers the quality of the experience because it's terrible for your health. Abandon it, and go for purity. Marijuana tastes much better and provides you with much nicer highs. When you roll pure joints, remember that today’s strains are very strong, so you may want to roll smaller ones or simply take fewer puffs. Technically, vaporizing would be the best way to go, however, sometimes a nice jay is perfect for the moment. So, keep it pure and enjoy your high. Tobacco is the most common accompaniment to cannabis, but it isn’t for everyone. Here are 10 herbal alternatives to put in your joint. There are so many ways to enhance one’s weed-smoking experience; this list of tips highlights just a few of them. You can purchase a canvas and some paint, and take advantage of that weed-induced creativity. Pick up an instrument and groove out. If you’re an athletic type, you can go exercise, do some yoga, and stay in shape—get those endorphins flowing. So before your next smoke sesh, prepare, execute, and feel the enhancement of your baked-ness.